A Will is one of the most important documents you can prepare. With our capable legal team working with you, dealing with matters concerning Wills and Powers of Attorney, intestacy issues, testamentary trusts, donating to charities, updating wills etc. can be free of stress and headaches. The inheritance of property is often assumed to be passed on to eligible relatives. In case a will is poorly drafted, the law may determine who will inherit your assets. Having a will which has been carefully and professionally prepared is therefore critical in these circumstances, and can avoid the possibility of disputes. A professionally prepared will can ensure that your estate is transferred to the people rightfully entitled to it. 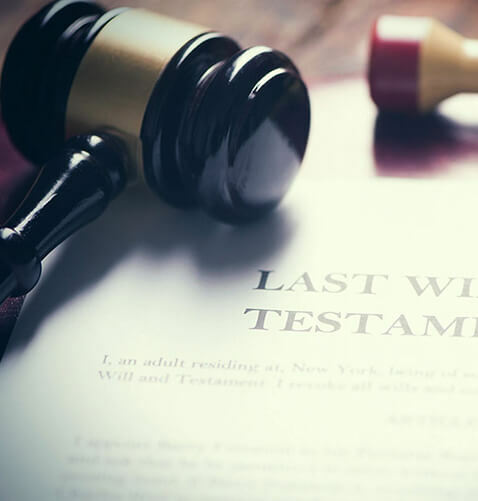 With an exhaustive experience in dealing with Wills, our skill ensures we are able to bring out the best outcome for you. We can also help you with any questions pertaining to Powers of Attorney and Advanced Care Directives. At Jackson & Associates, we are extremely proficient in handling many types of situations.